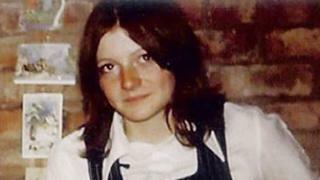 The brother of a Birmingham pub bombings victim felt he had "driven my sister to her death" by giving her a lift to the city on the night she died. Brian Hambleton, whose sister Maxine was among 21 killed in the 1974 blasts, recalled his final memory of her as inquests into the atrocity resumed. His was one of a number of emotional "pen portrait" tributes read at the outset of the new hearings. Family members said the dead were "cruelly robbed" of their lives. Two bombs ripped through the Mulberry Bush and Tavern in the Town pubs on 21 November, killing 21 and injuring 220. Mr Hambleton told the hearing at Birmingham Civil Justice Centre he had driven 18-year-old Maxine into the city in return for her ironing his shirt. He said: "I will always remember her closing the car door and walking away from me, waving at me. My joyful, carefree, upbeat, talented sister I would never see again." "I had literally driven my sister to her death," he said. Jurors also heard one of the victims, Michael Beasley, gave away a "lucky charm" to the wife of the Mulberry Bush's landlord that night. "He told her he'd found a lucky Cornish pixie charm on the bus on the way to town that night and gave the charm to her," said Peter Skelton QC, for the coroner. "Mary kept the charm and always carried it with her." Neil's friend, 17-year-old Paul Davies. His daughter Michelle Sealey and son Paul Bridgewater paid tribute to their reggae-loving father who "loved martial arts and Bruce Lee"
John Clifford Jones, known as Cliff, whose son George described the post office worker as "modest and unassuming"
Pamela Palmer, whose sister Pauline Curzon said "her companionship and kindness is a memory I treasure"
The remaining statements are due to be heard on Wednesday.